Verna Lynn Strickland, 62, passed away on April 20, 2018, at her residence. Verna was born on Aug. 7, 1955, in Chattanooga. She attended Ooltewah High School and was a 1973 graduate. She was employed by various companies in Chattanooga. 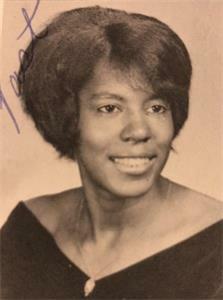 She was preceded in death by her father, Horace Strickland, Jr. and a devoted stepfather, Oscar Leon Tatum. Cherishing her memories include her mother, Laverta Tatum; sisters, Sharon Simms, Majorie-Ann Strickland, Denise (Rodney) Bryant; brother, Kenneth (Linda) Strickland. There were many nieces, nephews, cousins and friends; and a very special uncle, Rev. Morris Johnson. A memorial service will be held on Saturday, May 5, at 11:30 a.m. in the Chapel with Reverend Gerald Spence, Sr. officiating.